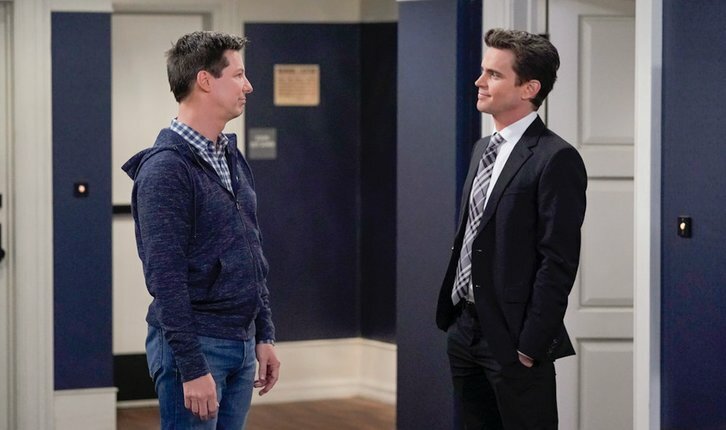 02/28/2019 (09:30PM - 10:00PM) (Thursday) : Will (Eric McCormack) gives local newscaster McCoy Whitman (guest star Matt Bomer) a second chance and, with the help of Jack (Sean Hayes), finally gets to know the man behind the newsman. Grace's (Debra Messing) campaign for Design Guild President hits a snag when the deciding vote comes down to her old nemesis, Val (guest star Molly Shannon). Karen (Megan Mullally) acts as Grace's campaign manager, and attempts to secure Val's vote by any means necessary.